If you've followed environmental news over the past two years, then you know that eliminating single-use plastics has become a hot topic - and for good reason. 300 million tons of plastic is produced every year and half of it is estimated to be meant for single-use purposes. Even though our plastic consumption is constantly increasing, a mere 9% of the plastic ever produced has been recycled. What happens to the plastic that isn't recycled? You probably guessed it - it's landfilled, incinerated or accumulates in the natural environment. 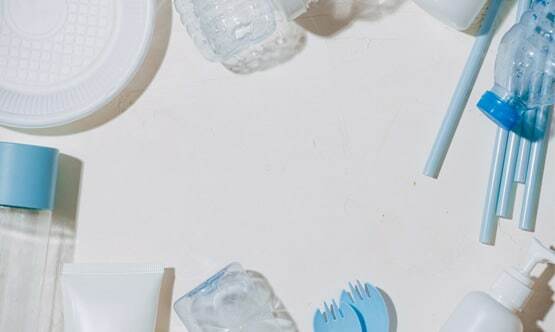 Continue reading to learn more about why the movement to eliminate single-use plastics has become a global-effort, and tips for how to reduce it. In 2016, Americans used 50 billion plastic water bottles. On average, only 23% of plastic bottles are recycled. 40 billion plastic utensils are used every year in the U.S., but are very difficult to recycle. 500 billion disposable cups are used per year, but they can’t be recycled. 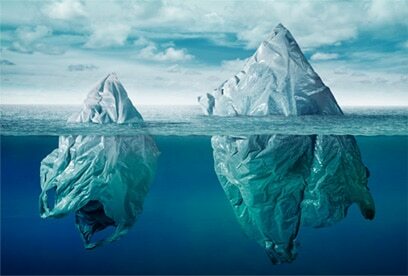 A trillion plastic bags are used each year, but only 1% are recycled. 500 million straws are used every day but they’re not recyclable. As you can see from the numbers above, we use large volumes of plastic, but very little is recycled. This is because plastic meant for single-use are very difficult to recycle, and take hundreds of years to decompose. When they do decompose, they don’t fully breakdown, but disintegrate into tiny pieces. As a result, the majority of plastics (79.5%) have accumulated in landfills and natural environments. The Great Pacific Garbage Patch? Millions of tons of plastics enter our oceans each year. In the northern Pacific Ocean, a patch of garbage twice the size of Texas is floating around. This unfortunate consequence of our plastic waste is known as the “Great Pacific Garbage Patch”. And there are four other garbage patches just like it throughout the world. According to The Ocean Cleanup, “A total of 1.8 trillion plastic pieces were estimated to be floating in the patch – a plastic count that is equivalent to 250 pieces of debris for every human in the world.” Studies claim that if our plastic consumption doesn’t change, there will be more plastic in the ocean than fish (by weight) by 2050. At RoadRunner HQ, we were able to completely eliminate disposable cups and plastic water bottles from our waste stream by distributing reusable mugs and water bottles to each employee. This simple effort allowed us to divert an estimated 18,000 cups from the trash each year. Many grocery stores like Kroger plan to transition to reusable bags by 2025 in an effort to eliminate single-use plastic bags. According to cbsnews, they will eliminate 6 billion bags per year this way. Seattle is the first large U.S. city to ban plastic straws. The movement, Strawless in Seattle, has already removed 2.3 million plastic straws from the city, and hopes to raise awareness throughout the country about the harm of single-use plastics. When you take a look at your businesses plastic consumption, it’s easy to find sustainable alternatives to replace single-use products! Talk to your coworkers and managers about the harm plastics cause and suggest some of the eco-friendly options we’ve listed above. It’s amazing how many people will buy-in when they see the value of replacing single-use plastics. Leave us a comment below and let us know how your business has reduced its plastic-footprint or how you plan to get involved. Thanks for reading!